The Buffalo Sabres selected goalie Linus Ullmark 163rd overall in the 2012 NHL Entry Draft, and after bouncing back and forth between the NHL and the AHL over the past few years it looks like he can finally call Buffalo his permanent home. Since it doesn’t look like the Sabres will be sending Ullmark back to Rochester anytime soon, the 25-year-old decided to put his time away from the rink to good use as he teamed up with SPCA Serving Erie County to help give more dogs a permanent home. 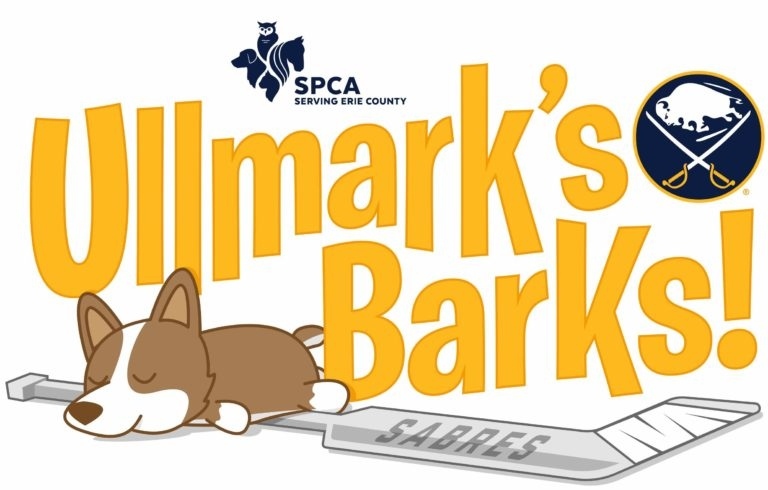 Known as Ullmark’s Barks!, the campaign was designed to help SPCA dogs find homes throughout the regular season and officially got underway just over a month ago. Through the program, Ullmark makes his ‘draft picks’ and shares their photos and information online in hopes of finding them new owners. His latest pick, GIRLIE, just got adopted, which means it’s time for him to feature another pick. Adopting isn’t the only way of helping out. You can also donate to the cause, which will help get pets off the streets and into warm, safe homes.